Akapulko is a shrub that grows wild on many areas of the Philippines. The leaves contain chrysophanic acid. 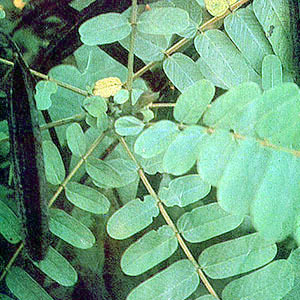 The leaves are reported to be sudorific, diuretic and purgative, being used in the same manner as senna. The leaves are commonly used for ringworm and other skin diseases. The leaves in concoction are also used to treat bronchitis and asthma. As anti fungal, apply juice from the pounded leaves on affected areas of the skin. Strong decoction of leaves and flowers for cleansing eczema and other skin itch. As an ointment: Prepared from the leaves and apply twice a day. Precaution: apply thinly on affected skin. Improvement will be noticed after 2 to 3 weeks of treatment. This entry was posted in List of Medicinal Plants in the Philippines and tagged akapulko on February 23, 2009 by Pinoy Herbs. This is Maxine from GMA Network. I would like to ask permission to use the akapulko picture from this website for it will really help our documentary about herbal medicine in I-Witness by Jay Taruc to be aired May 17, 2010. Good morning po, ano po ang katumbas na salita ng Akapulko sa bIcol,? salamat po sa mga info, magagamit po ito ng aming grupo dahil ang mga dahong ito ay kasali sa aming herbal oil na WHOLEZAM Herbal Essence. muli salamat po and more power po sa inyo! Paano po gamitin ang akapulko sa paggamot ng kabuhi?very need pls reply…thanks in advance. Good day. May I know where I could find this plant? I am in Baguio City. We need this for our group study. Thank you in advance.